This photo says "summer wedding." The sun is blazing in the sky above this couple as they hold hands in the field. 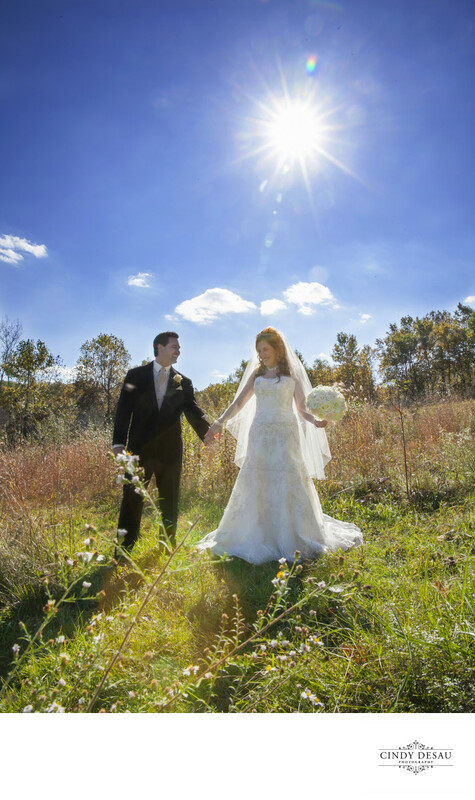 Other than the colors of nature: blue sky and green grasses, the only other color in this wedding photograph is white. The bride’s white gown, her round white bridal bouquet and white clouds.